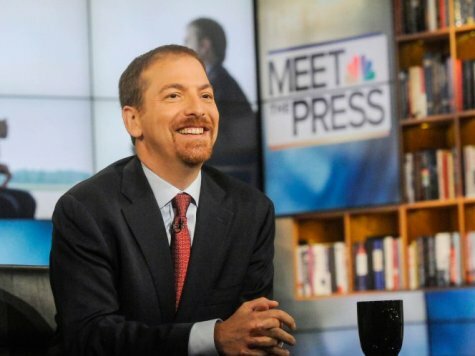 In the second and final part of our interview with “Meet the Press” moderator Chuck Todd (Part One is here), we talk at length about the media’s indifference to the IRS scandal, touch on the ongoing Fareed Zakaria plagiarism scandal, and ask outright why a division of Todd’s own network, the openly leftwing MSNBC, should be allowed to spend unlimited corporate money to advance its agenda but not the left’s favorite target, the “dreaded” Koch brothers. BREITBART NEWS NETWORK: What would it take to get you personally energized about the IRS scandal? CHUCK TODD: We’ve looked into it more than folks realize. I don’t see any evidence that this is some sort of political orchestration. This is incompetence. My point was that these groups are looking to use the tax code to do politics. How did we let the tax code even have that loophole? Where’s that conversation? CT: Let me ask you this: people at the IRS have lost their jobs. The whole thing has been revamped. What’s the next phase? BNN: You tell me you’ve seen the evidence, but every two weeks I’m hearing about more hard drives crashing, more emails missing. Try to imagine the media reaction if Roger Goodell or Chris Christie started losing emails and hard drives directly pertaining to what are their legitimate scandals. CT: The IRS is a legitimate scandal, everything about it. BNN: Okay, but now the evidence is being disappeared, by accident or design, and nobody gives a damn. And I’m not sitting here as a partisan freaking out over this, I’m sitting here as an American freaking out over this. As cynical as I was about the media then, had you told me two years ago that after the IRS did what it did, all these emails and hard drives could disappear without the media giving a damn, I wouldn’t have believed you. Do you know if anyone’s looking for these emails? Is there a Woodward and Bernstein out there knocking on every door of every IRS employee, like those guys did with the employee list to re-elect Nixon? CT: I don’t want to say what we’re doing in our own investigative unit. We have spent time on this story. We continue to sort of spend time on the story. BNN: I’m belaboring the point and have already eaten up enough of your time. Two more quick things: You talk a lot about money in politics. And one area you are very upfront about is that you don’t like outside money in politics. BNN: I’m going to ask you an argumentative question, but it’s just to pick your brain on the topic: Why should MSNBC — which to its credit is openly leftwing — be allowed to spend unlimited corporate money to push its agenda, but not the Koch brothers? CT: My issue isn’t outside money. My issue is what I think it’s doing to the political process. In 2000, Bush and Gore combined, in their general election, spent about $130 million. That was 12 years ago. There were a couple of outside groups — not many — that spent maybe $10 million. Twelve years later, both Obama and Romney raised and spent over a billion dollars. That doesn’t include outside groups. In this [upcoming presidential election] outside money is going to outspend the two candidates. Look at the way Michael Bloomberg was able to turn a special election in Chicago into an election about gun control. I’ll guarantee you that if you did a poll in that community, the number one issue was not guns but some combination of the economy, education, and health care. BNN: But don’t MSNBC, and I’ll include Breitbart News in this, do the same thing as Bloomberg: affect what candidates talk about by spending huge amounts of corporate dollars? I just don’t see the difference. And I really don’t see the difference between the Koch brothers and unions. CT: I guess my point is that they can spend all the money they want, but spend it with the candidates. My feeling is bring this money into the parties so everything is disclosed. We have to go to the NASCAR approach where a candidate has to say, “I’m Joe Schmo and I approved this ad” and then name their sponsors – everyone who gave over $100,000 to the campaign. What would happen is that everyone would give $99,999. This is about letting the market decide. Let voters know so they can make up their own minds. I know there’s another debate about anonymous contributions. Some will argue that donors should be allowed to remain anonymous so they’re not harassed. I understand that fear and concern. I’ve seen donors on both sides harassed. BNN: I used to be firmly in the camp of instant disclosure until the Obama campaign and the pro-gay marriage campaign in California started terrorizing donors; which just goes back to my saying that liberals eventually ruin everything. But I like that the Koch brothers and groups like them can compete with MSNBC and the rest of the media. I think that someone’s got to be out there freely competing with the media with a competing message. Pardon my speechifying when I should be interviewing, but whatever problems free speech might cause, the “solutions” are always going to be 100 times worse. And if you centralize the money to only the parties and to the candidates, that’s fascism. 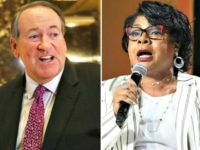 They’re the only ones allowed to spend real money on political speech. CT: I agree you can’t legislate your way out of this. I use this line Jeff Goldblum used in “Jurassic Park.” When the old man claimed he could prevent dinosaurs from procreating, Goldblum says “Life finds a way.” In politics, money always finds a way. You gotta get the money out there and disclosed. Fewer good people are running for office. I talk to people who try to recruit candidates — Democrats and Republicans — and people are nervous about how the media cycle works – that it’s so easy to be destroyed. And then an outside person like Michael Bloomberg can tell you what you’re going to campaign on, rather than you getting to control what you want to promise the voters. You’re upset that the mainstream media has so much power, but should it be in the hands of the eight richest people to decide what issues we debate in this country? BNN: I hear you. And like I said before, freedom is messy and complicated. But I just don’t want to live in a country where only the media and unions get to spend unlimited corporate cash to affect that debate. And that’s the way it was before Citizens United. It’s not like MSNBC can’t easily turn the debate towards an issue like gun control. CT: An outside group can do it faster. I’m not saying you can’t spend an unlimited amount of money. I just think there has to be a different way you do this. BNN: Which touches on your overall theme about DC being out of touch: What to you would say that Congress has met the Meet the Press goal of being back in touch? CT: If they improve their way of looking at the economy and looking at why this recovery is uneven. Some of it could be superficial: holding a congressional hearing in one of these middle America towns you and I are both familiar with. The same way these guys do a fact finding mission to Libya, how about a fact-finding mission in Elkhart, Indiana? A first-hand look could answer the question of, “If you did have a government incentive, what’s the smartest way for us to implement it.” That would at least tell me they are making an attempt. BNN: I love that idea. Last question before I let you go: Do you think Fareed Zakaria should be fired? Have you been following that — the new plagiarism allegations? CT: No. I have not. I know he got in some trouble in the past with some commencement speeches. I didn’t know about any new ones. The scary thing is that once you’re accused of plagiarism — even if you didn’t do it — you can’t un-ring that bell. I have a book coming out in November, and it’s one of the scariest things in journalism now. BNN: I live in mortal and constant fear that I might accidentally plagiarize by forgetting to indent a paragraph or link a factoid. CT: Yes. Exactly. That’s my fear. You and I both know that there are people out there just trying to destroy people. For sport. But members of the media now know what it feels like to be a politician. BNN: Which is a good thing. BNN: Maybe after your book comes out we can do this again. Breitbart News again wants to thank Chuck Todd, not only for the interview opportunity, but for walking into what he knew would be an adversarial conversation without a single precondition.